A highly symbolic wine region, Burgundy bridges the north and south of France’s wine territory. Burgundy’s evolution as a winemaking area is tightly linked to Christianity, as the region hosted high numbers of abbeys and monasteries. Monks cleared many forests from the landscape and selected the plots (climats) to make the best wine. 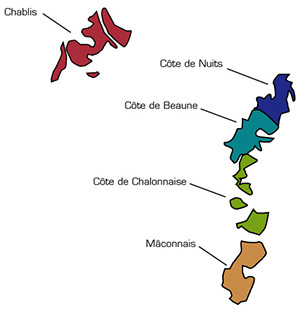 Burgundy includes several unique areas: Chablis in the North, Cote de Nuit and Cote de Beaune and further south Cote Chalonnaise and Maconnais. There is an everlasting debate whether Beaujolais should be part of Burgundy despite using a different grape and featuring a unique terroir. The classification we know from the Burgundy region also originates from the monks that built stone walls around the fields to create the clos, a delimitation to a great vineyard. The INAO administration regulated that empiric classification in 1936, to preserve only two of the rankings: Premier Cru and Grand Cru. There are 585 Premiers Crus (representing 18% of the total production) and 32 Grands Crus (5%) in the Cote de nuit and Cote de Beaune. Chablis appellation features 7 Grands Crus and 89 Premiers Crus. Cote de Beaune and Cote de Nuits have been the stars of Burgundy. With increasing price and fame, consumers have shown an interest for the other Burgundy wines such as Cote Chalonnaise and especially Maconnais for the Chardonnays. I believe it gives wine lovers a great value for their money. Burgundy has about 4,300 domaines of which 85% are under 22 acres. 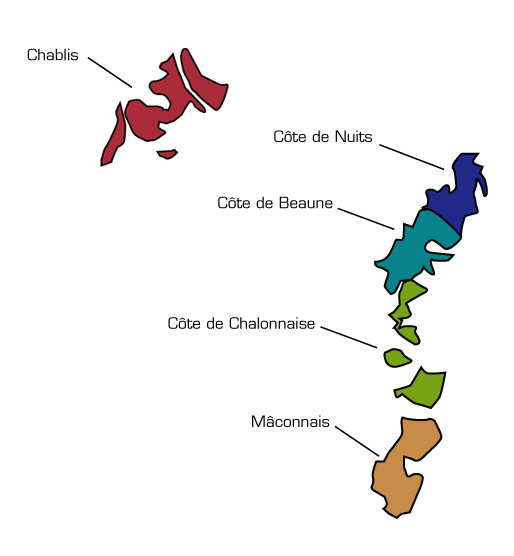 Bourgogne has 6% of all France's AOC-producing domaines. 61% of the production consists of white wine. The rest is red (30%), cremant (8%) and rose (1%). Grands Crus wines are only 1.4% of the total production of Burgundy wine and Premiers Crus 10.4%.